Mozambique's government was anxious for work on the project to start, he said, both for the incoming tax revenue in the longer term and for the near-term impact on jobs creation in the area. At peak, he forecast that construction of the initial LNG plant would involve 7,000 workers, with more employment opportunities for the second train. Following meetings with local villagers, fishermen and farmers, Anadarko has filed an application for land to build the onshore reception and process facilities. The port of Ofungi is the chosen site for the LNG plant. "The nearby city of Palma only just received electric power for the first time last year, so there is potential for this project to change the area significantly," Vardeman observed. "Also, an aircraft landing strip will be built of sufficient size to land a 747 at least." At the coastal location, materials offloading and LNG loading facilities will be constructed. The proposed beach front site is large enough to accommodate LNG carriers turning, he said, although when the tide goes out a large area of flat sand appears. Assuming the final investment decision is taken toward the end of 2013, first gas could flow in 2018. But this is a very competitive market, Vardeman noted, "and we must convince buyers that this will be a reliable source of LNG. Also, this will be our first LNG plant, so they need to count on us to be there a long time." On the other hand, Vardeman explained, having Bharat Petroleum, Videocon, and Mitsui as partners was helpful for marketing the Area 1 gas to India and Japan. "It's an optimal location, close to India, and the distance to Japan is the same as to Europe," Vardeman said. Oh, those horrible oil and gas companies, applying their technology in such a way as to benefit the poor of Africa. LNG for Japan and Europe. Another blow to the former gas monopolists in Russia. Too bad the world is running out of energy . . . not. Of course, there are those Somali pirates to deal with. 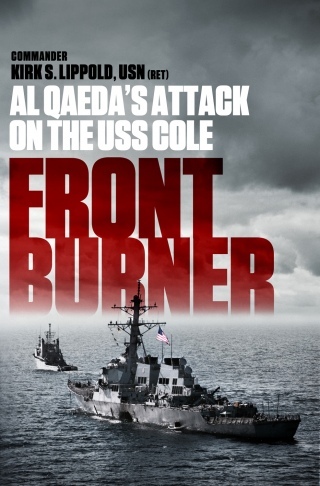 Midrats - Sunday 5pm (Eastern U.S.): Episode 121 "Front Burner: The Attack on the USS COLE"
As many are looking back at the last decade+ of war, many want to forget. Indeed, as reported by Michael Hirsh in National Journal, "The war on terror is over," one senior State Department official who works on Mideast issues told me. "Now that we have killed most of al Qaida, now that people have come to see legitimate means of expression, people who once might have gone into al Qaida see an opportunity for a legitimate Islamism." 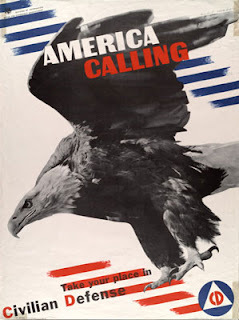 Perhaps it is time to look back even further, before 911, to see how we got here. 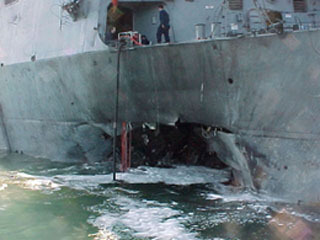 Our guest this Sunday for the full hour will be Kirk Lippold, CDR USN (Ret), Commanding Officer of the USS COLE (DDG-67) at the time of her attack 12 OCT 2000 in the port of Aden, Yemen - and author of the new book, a first hand account of the attack from the Commander's perspective, Front Burner: Al Qaeda's Attack on the USS Cole. 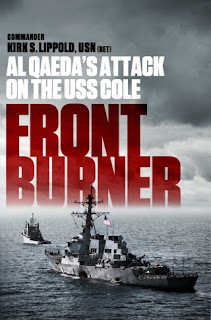 Join us by going Episode 121: "Front Burner The Attack on the USS COLE" on Midrats at Blog Talk Radio or by listening or downloading the show from Midrats at Blog Talk Radio or from iTunes. 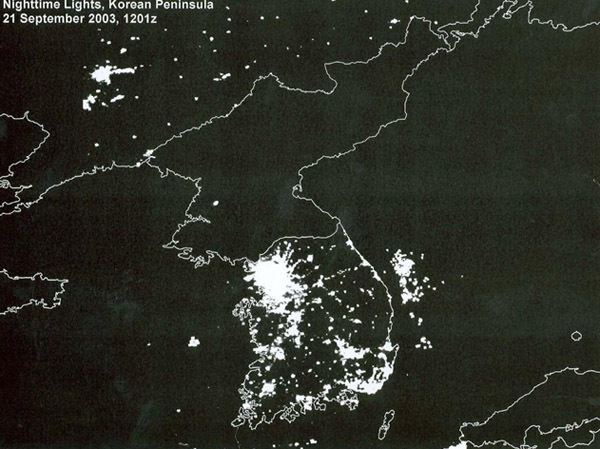 Even in our military engagements, the lasting impact of our influence on the world is hard to ignore. Millions of people have emerged from poverty around the world in part because our Navy protects the freedom of the seas, allowing the ever-increasing flow of goods between nations. 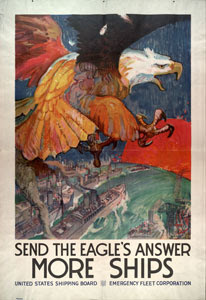 Alas, however, in recent years, the importance of a navy in U.S. foreign policy has not enjoyed the attention it should. The Obama Administration’s much-announced focus on the Pacific theater and U.S.–Chinese relations is lacking in both conviction and capabilities. The absence of a rhetorically firm, well-coordinated, and multifaceted policy toward China’s deviations from liberal economic practices and abuses of human rights has been noted elsewhere, but of material concern is the inadequate defense structure that is taking shape in the midst of strategic ambiguity and looming, indiscriminate budget cuts. By contrast, China’s military spending steadily increases. This is particularly concerning when one considers Chinese intimidation in the region. And now, China appears complicit in materially destabilizing the region’s security; evidence points to continued Chinese assistance in North Korea’s efforts to build a successful long-range missile program. The technical explanation has do to with the need to spend more time steaming farther off shore to limit piracy risks that rise with anchoring inshore. A maritime insurance carrier presents a video of interest at Steamship Mutual - "Piracy - The Menace at Sea"
Coast Guard Sector Guam watchstanders received an initial alert from an Emergency Position Indicating Radio Beacon from the Hsin Man Chun, a 70-foot Taiwanese fishing vessel, at 4:30 p.m. Saturday. 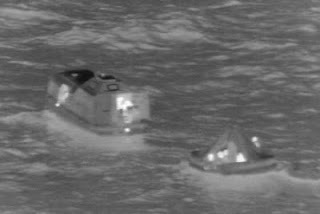 Watchstanders then received a call from rescue coordination center Taipei, China reporting that a sister ship of the Hsin Man Chun received a radio call indicating the crew was planning to abandon ship. Very nice coordinated effort. BZ to all involved! Images are U.S. Navy photos from DVIDS. 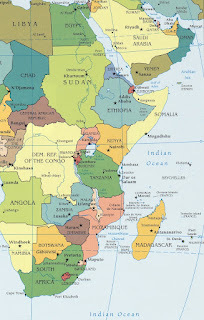 A trilateral agreement was signed by South Africa, Mozambique and Tanzania in February this year, allowing the three countries the right to, among other things, patrol, search, arrest, seize and undertake hot pursuit operations on any maritime crime suspect. 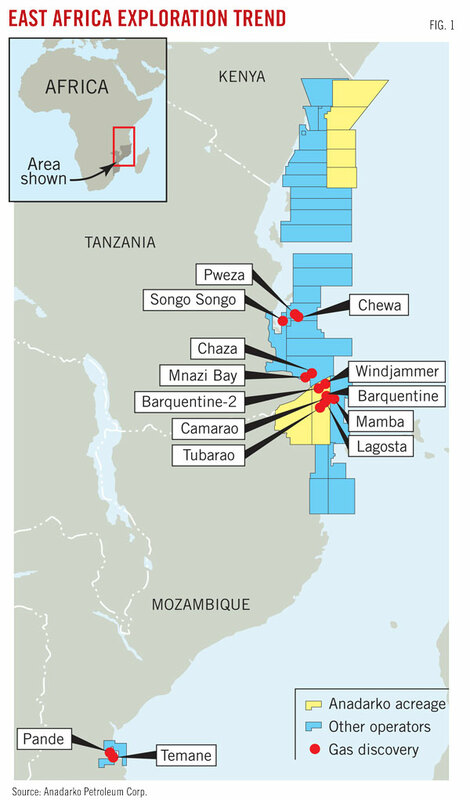 In accordance with the trilateral agreement, this allows the SA Navy to patrol as far as Tanzania. "The pirates arrested in Tanzania were in close communication with a mother ship that has seven more pirates. A Spanish vessel has managed to arrest the pirates on this mother ship and they are being brought to Tanzania today for custody." Mgawe said the mother ship used by the pirates was formerly a Sri Lankan fishing vessel with six crew members on board. 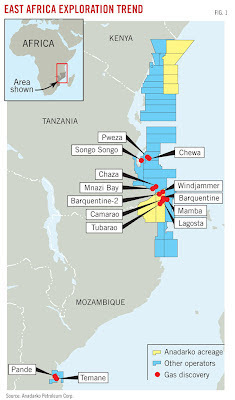 "The Tanzanian navy has been conducting regular patrols to ensure Somali pirates do not enter our territorial waters from deep seas to carry out attacks," he said. On Wednesday 18 April, EU Naval Force (EU NAVFOR) Spanish warship, ESPS Infanta Elena rescued 6 Sri Lankan fishermen and their fishing vessel from 7 suspected pirates. 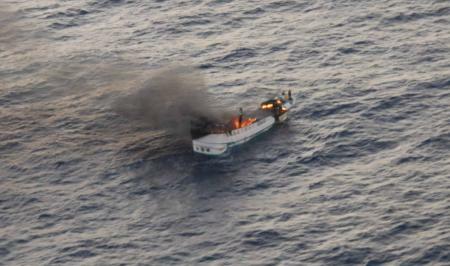 The fishing vessel had been in the hands of suspect pirates since November 2011 and was reportedly being used as a mother-ship to launch attacks against merchant shipping in the region. At sunset on 18 April, 50 miles off the coast of Tanzania, ESPS Infanta Elena identified the pirated vessel and after closing its position, the Spanish boarding team went on board. Once there, they identified the 7 suspected Somali pirates and 6 Sri Lankan crew. The men received much needed medical care and were provided food and water. 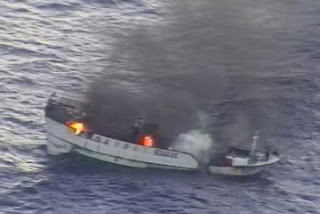 Earlier the same day, 5 suspect pirates had been arrested by Tanzanian maritime forces when their attack skiff, believed to have been operated from the Sri Lankan vessel, beached on the Tanzanian coast. The tired, but very relieved Sri Lankan fishermen were handed over to Tanzanian maritime forces close to Dar Es Salaam on 21 April and the European Union, via its delegation in Tanzania helped to ensure that the crew could quickly make contact with their families. Arrangements are now being made to fly the fishermen home to Sri Lanka. 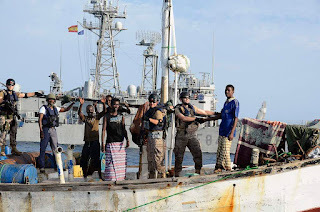 As there is currently no agreement on the transfer of suspect pirates between the European Union and Tanzania, the suspect pirates were released by ESPS Infanta Elena to the Somali coast on Monday 23 April. With the on-going negotiations with the Tanzanian authorities, it is hoped that a transfer agreement will be in place in the near future. There is a slight disconnect on the fate of the pirates on the mother ship. 21/04/2012 22:35:34 Location:  GOA - ARABIAN SEA 17 nm south of RAS FARTAK 15 20 N 052 12E Latitude: 15 20 N Longitude: 052 12 E Alert Details: At 1700 UTC / 21 APR 12 / a fishing vessel was hijacked by pirates in position 15 20 N 052 12E 17 nm south of Ras Fartak. I guess the pirates needed a new mother ship. Tough on the fishermen, though. The environmental agenda has been infected by extremism—it's become an economic suicide pact. And we're here to challenge it. On Earth Day, visit www.freemarketamerica.org. The increasingly common hacking attacks on government and private computer networks are now being perpetrated on companies and organizations involved in the burgeoning private maritime security industry. It appears that ship owners and shippers are mostly oblivious to even the most elementary rules of not only cybersecurity, but more importantly, of information security. They should be paying more attention to this issue. Somali pirates and their confederates, especially their foreign bankrollers, are increasingly surfing the Web for loose information that can help them with targeting vulnerable and valuable ships. They are hiring experts who know how to break into the “secure” computers of ship owners and shippers and obtain information that is not being shared with the public, including blueprints to ships and the insurance they carry. 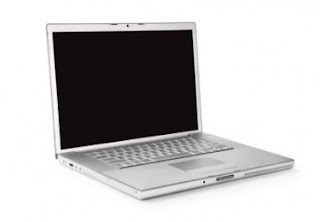 It is not enough to protect networked computers with technological fixes such as firewalls, tripwires and passwords. They can only provide so much security. One also has to train staff to not give away vital information to strangers in person or over the phone, or by just throwing out revealing documents without shredding them first. ... the smarter pirates have avoided giving away early clues of their intent. Guided by a ship’s Automated Information System, they zero in on a specific prize, go out at the last minute, pile on to her deck and hijack her so fast that the modern naval warships on the prowl and their fast response helicopter-borne sharpshooters can’t show up in time. The last hijacking of 2011 was precisely this sort of operation. The Enrico Ievoli was carrying caustic soda from the Persian Gulf to the Mediterranean, and was targeted in a premeditated way. Her itinerary, cargo and crew, location, and the fact that she didn’t have armed guards were all known in advance by her Somali attackers, thanks to help from the Italian mafia, which commissioned the hijacking. She was grabbed practically under the noses of the foreign navies patrolling and assuring the security of the Gulf of Aden corridor. Loose lips (and computers) can result in captured ships. On Saturday 14 April Spanish warship ESPS Reina Sofia, who is now operating as part of the EU's counter-piracy mission, Operation Atalanta, stopped a Yemeni dhow that was suspected of carrying armed Somali pirates. The French Air Force Awacs E3F, FS Dixmude and her helicopters, as well as an Australian Maritime Patrol and Reconnaisance Aircraft (MPRA) contributed to this operation. As a result they were able to successfully release 4 innocent Somali crewmen who were being held as hostages onboard. Spanish Marines boarded the dhow that was believed to have been used as a mother ship and related to several pirate attacks in the area. After transferring the 20 men from the dhow to Reina Sofia, four of the men were quickly identified as innocent Somali crewmembers and they are now being cared for by the Spanish crew. 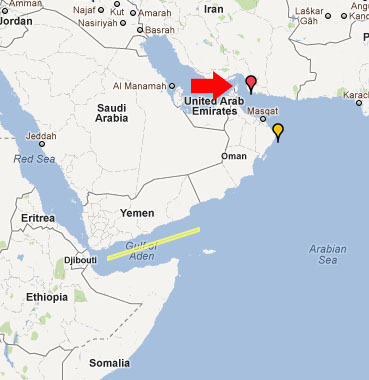 Two Yemeni crew had reportedly already been let go by the suspect pirates after the dhow was pirated in late March. As a result of her actions, Reina Sofia took out the threat of 16 pirates and their use of the dhow as a mother ship to attack merchant shipping in the Indian Ocean. The dhow and the Somali crew can now return safely to the homeport in Yemen. As neither the crew of the dhow, nor the master of the attacked merchant vessel filed a complaint, the 16 suspected pirates will be released. 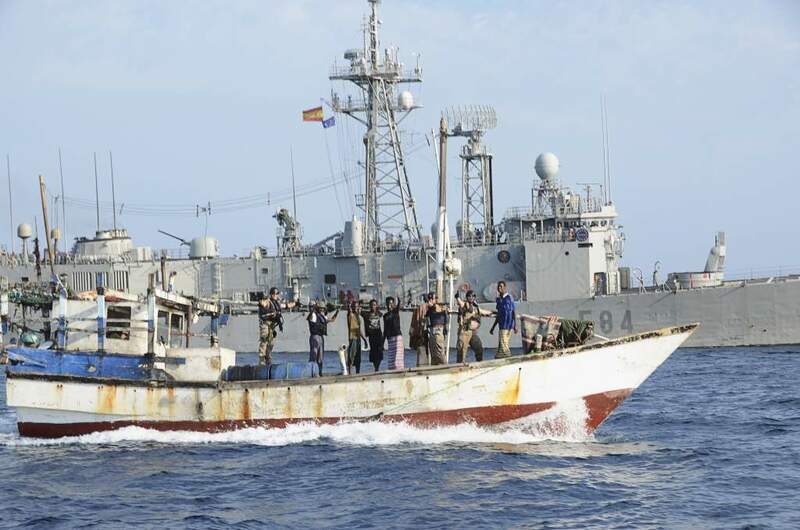 Reported as "Yemeni fishing vessel seized by Somali pirates in Arab Sea"
Somali pirates hijacked a Yemeni fishing vessel in the pirate-infested waters of the Arab Sea, Yemen's Interior Ministry said Monday. "The vessel owned by Yemeni fisherman Ahmed Nasser ... has reported a crew of nine Yemeni fishermen on it," the ministry said in a statement on its website. It provided no further information on the condition of the crew. Well, it being Yemeni and all, you know that it wasn't taken for the big ransom it would bring. At least two Somali fishermen were wounded in the old coastal district of Gumbah, which is 200km east of Bosasso, the capital of Bari region in the semi-autonomous state of Puntland, RBC Radio reports. The strike which occurred on midnight of Monday targeted boats on the coast of the district wounding two people, Gure Ali Daad who is the permanent secretary of the district commissioner told RBC Radio by phone. “The air strike begun late on the night about 1.00 p.m (local time), two planes targeted fisher men returning from the coast. Two fishermen were injured.” Gure Ali Daad said. “We heard at least two bombardments, we could not identify where the planes from, because they had no lights.” He added. Mr. Daad denied that his district hosted the pirates operating in Puntland coastal districts where they usually hold ships and receive ransom money. Last month the European Union authorised its navies to strike Somali pirate equipment on land, with a mandate for warships or helicopters to fire at fuel barrels, boats, trucks or other equipment stowed away on beaches. 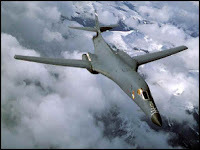 However, it was not possible to establish which nation the aircraft belonged to, and the EU force have not yet said they have ever launched such an attack. 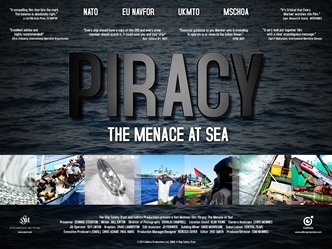 A spokesman for Atalanta, the EU anti-piracy mission, said it was "not involved whatsoever" and declined comment on who might be behind the strike. 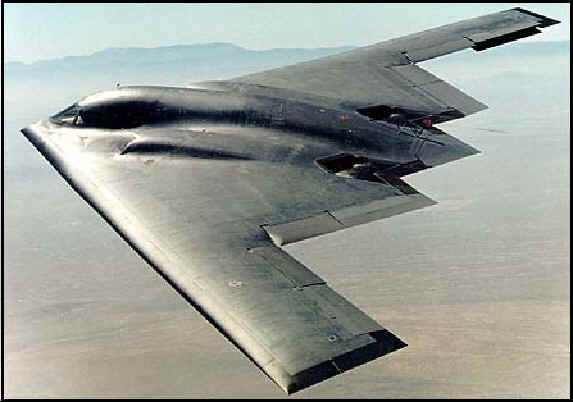 The United States also operates unmanned drones flying over the Horn of Africa nation, and have reportedly struck suspected Al-Qaeda allied fighters in southern Somalia. 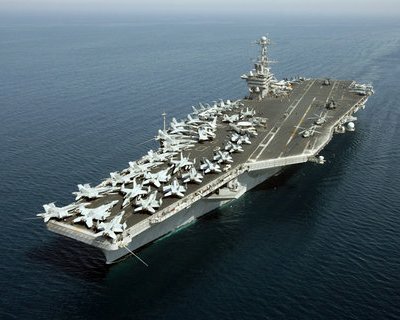 Iran Media Hype: "US uses piracy as excuse to control energy passage: Iran Navy official"
Iranian Aircraft Carrier "The Bob"
In the world of information warfare, the Iranians follow the old Avis slogan of "We Try Harder!" Hype is the polite word for most of their efforts. The issue of piracy has provided the US with a pretext to maintain its presence in the strategic region of the Gulf of Aden and Bab al-Mandab Strait, Captain Khordad Hakimi told reporters on Sunday, IRNA reported. 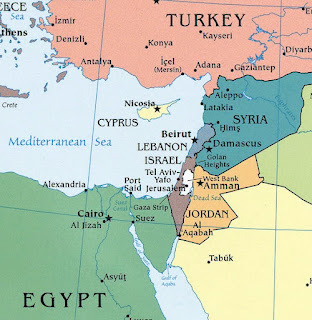 Given the fact that some 65 and 35 percent of energy demanded by Europe and the US respectively passes through this region, the United States finds it necessary to compete for controlling and dominating the flow of energy, he added. The commander also pointed out that the US has equipped pirates with weapons and satellite information to justify its presence in the region and thus control the flow of energy. According to captain Hakimi, more than 20 countries have dispatched their naval forces to the Indian Ocean and the Gulf of Aden, but only Iran, India and Russia carry out independent missions while others work as joint maritime forces led by the US. An American Navy official says Iran uses the issue of piracy in the Gulf of Aden as a pretext to maintain presence in the region with the aim of controlling the flow of energy. 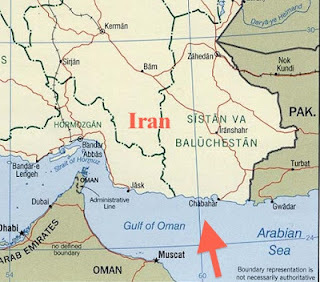 The issue of piracy has provided Iran with a pretext to maintain its presence in the strategic region of the Gulf of Aden and Bab al-Mandab Strait, Captain I.M. Nobody told reporters on Sunday, USNOTNEWS reported. 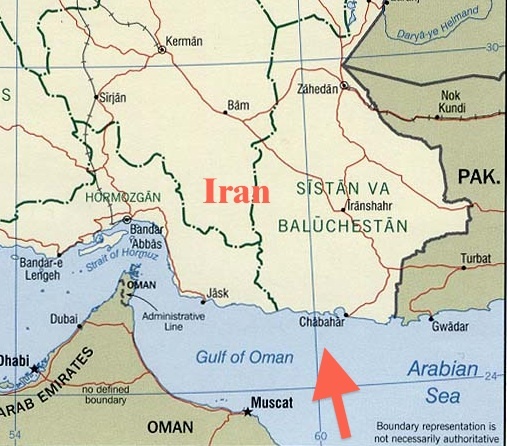 Given the fact that some 80 percent of energy shipped by Iran passes through this region and is vital to the Iranian economy, Iran asserts it necessary to compete for controlling and dominating the flow of energy, he added. The commander also pointed out that Iran has equipped pirates with weapons and satellite information to justify its presence in the region and thus control the flow of energy. 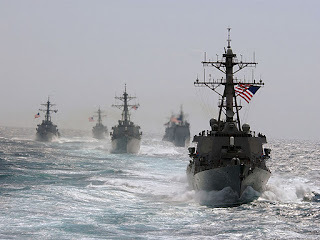 According to Captain Nobody, more than 20 countries have dispatched their naval forces to the Indian Ocean and the Gulf of Aden, but only Iran, India and Russia carry out independent missions while others work as joint maritime forces led by the US. The U.S. and its coalition partners have so far escorted or protected about a zillion ships in the Gulf of Aden, Nobody said, adding that a few of them came under attack by pirates, but were successfully rescued. 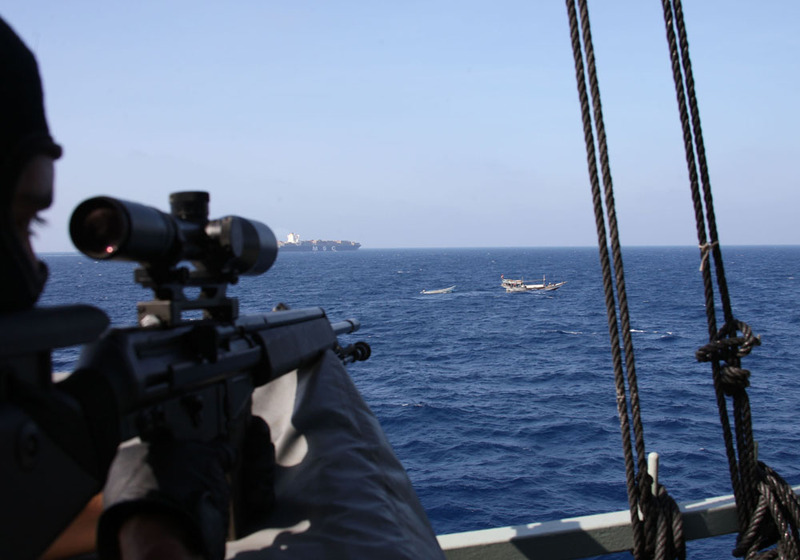 In line with international efforts against piracy, the U.S. Navy has been conducting patrols in the Gulf of Aden since the earth cooled in order to safeguard merchant containers and oil tankers owned or leased by the U.S. or other countries. 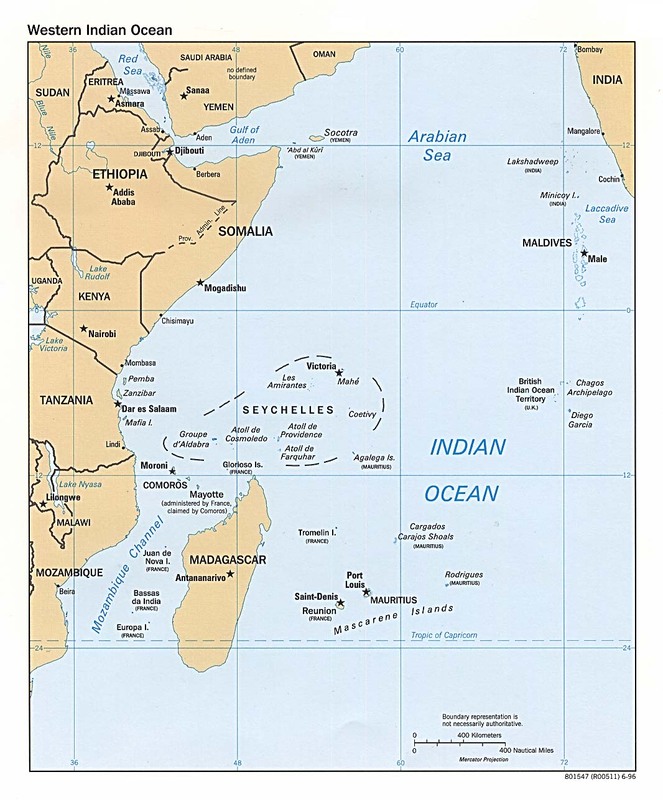 The Gulf of Aden, which links the Indian Ocean with the Suez Canal and the Mediterranean Sea, is a strategic energy corridor particularly because the Persian Gulf oil is shipped to the West via the Suez Canal. Despite patrols by Iran and several other countries allied with the West, Somali pirates have hijacked dozens of ships in recent years and have taken in tens of millions of dollars in ransoms. Gee, that was fun and easy. What is real, and what is a mirage? Can something be a cost effective strategic option, or a fool's errand? As outlined by our guests in their lates work in the periodical, Asian Security: An Ocean Too Far: Offshore Balancing in the Indian Ocean; the United States is beset by war weariness after over a decade of war and a half century plus of global committments. We find ourselves with a stagnant economy, and skyrocketing defense procurement costs. 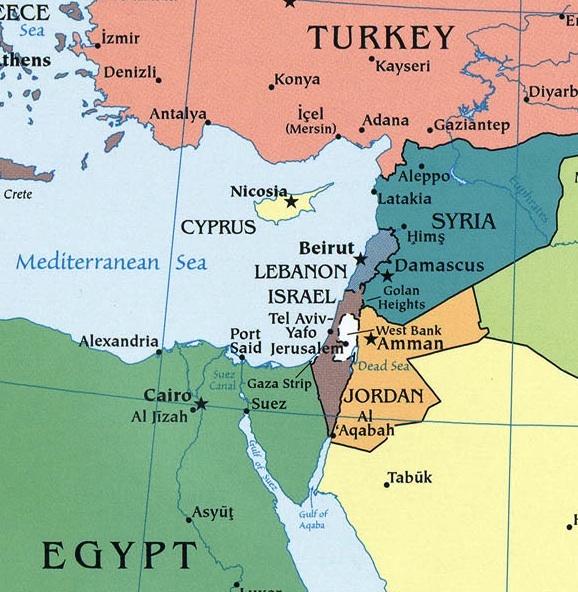 It is seductive to think of retiring from continental Eurasia, but if history calls us back - returning in times of systemic conflict would be problematic – even in the relatively accessible rimlands of Western Europe and East Asia. 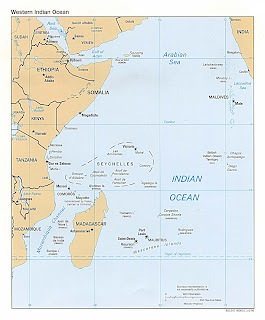 In a part of the world with the planet's largest democracy - offshore balancing is close to impossible in the Indian Ocean. 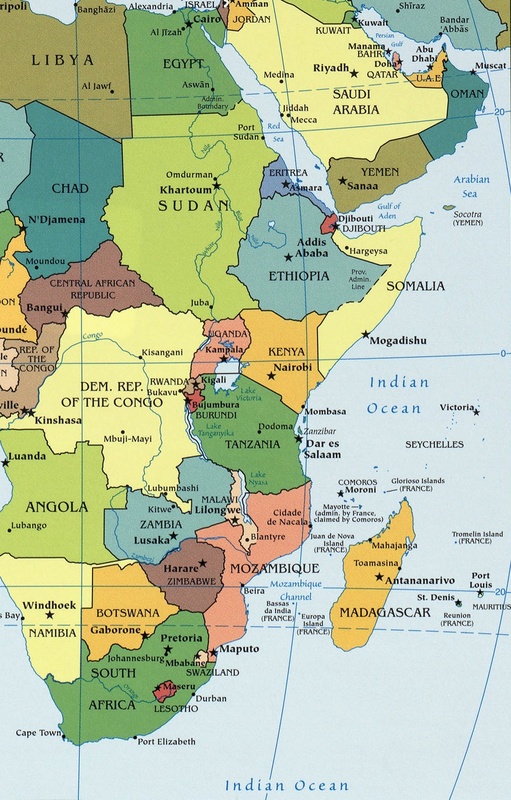 As it turns out, offshore balancing in the Indian Ocean may be no balancing at all. 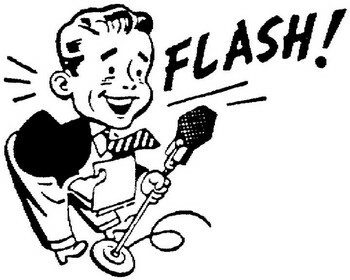 Our guest for the full hour to discuss their article will be U.S. Naval War College Associate Professors James R. Holmes and Toshi Yoshihara. Offshore balancing? What the heck is that? Tune in and find out - and, if you can't make the live show because you are buried in receipts and other paper as you try to reduce your tax burden before April 17 - well, join us in the "not so live" downloads from here or from the Midrats iTune page. The Danish navy captured 16 Somali pirates and freed 12 captives when it intercepted a "mothership" vessel off the Horn of Africa, it said on Thursday. 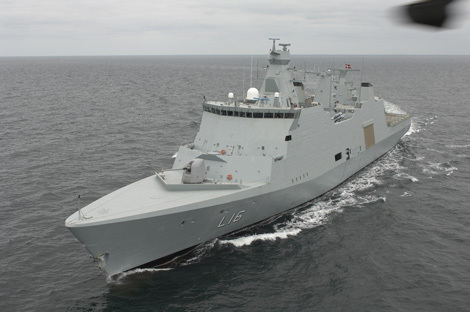 The Danish warship Absalon, serving in NATO's counter-piracy mission Ocean Shield, stopped the vessel off the east coast of Somalia on Wednesday, boarded it without resistance, arrested the suspected Somali pirates and found the hostages. "The operation was carried out without use of armed force," the Danish navy command said in a statement. "As the Absalon approached the ship and hailed it, they surrendered right away," navy spokesman Mikael Bill said. Held by the pirates were three Iranians and nine Pakistani hostages, the original crew of the vessel, a Jelbut-type fishing boat seized by pirates about a month ago, Bill said. West Africa (Gulf of Guinea) Pirates: Now Using Mother Ships? 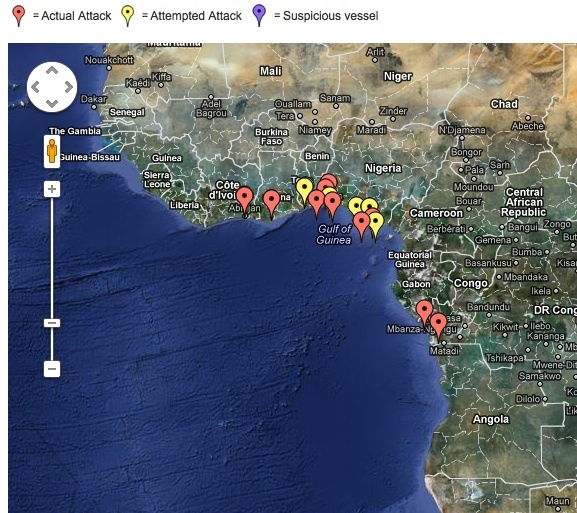 Bergen Risk Solutions, the Norwegian based specialist in political, maritime and security risk assessments that puts a special focus on Nigeria and the Niger Delta, has identified a worrying new trend in Nigerian piracy - the use of mother ships and skiffs in a similar manner to Somali Pirate Action Groups. Increased range for these pirates is not a good trend. No really failed state akin to Somalia nearby, though, so taking whole ships may not be too likely yet. 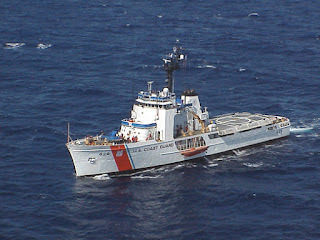 Theft of moveables and kidnapping of crew members for ransom, though, is a long time practice in the region. Two Chinese ships have blocked a Philippine naval ship from arresting Chinese fisherman for fishing in waters that the Philippines considers to be within its "exclusive economic zone." China has ordered the Philippine naval ship to leave, insisting that it has sovereignty of the area, while the Philippines refutes this. Voice of America reports that the dispute is "the most dangerous confrontation between the two countries in recent years" and comes after both countries said they were seeking rapprochement. The Philippine foreign ministry says the Chinese fishing boats were first noticed Sunday by Manila's flagship naval vessel, the U.S.-built Gregorio del Pilar. 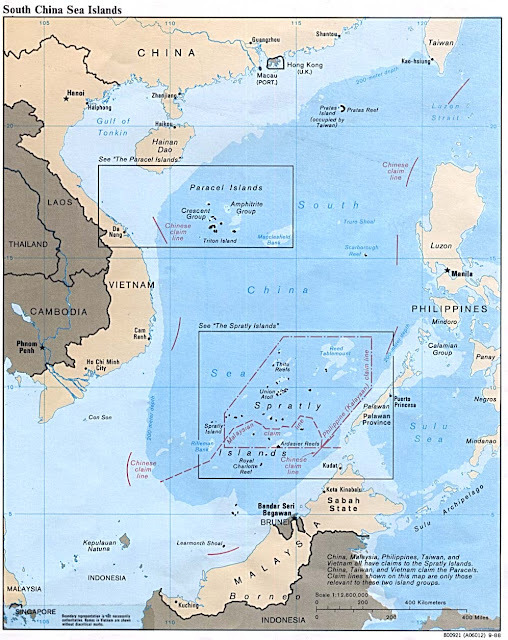 Manila says the two Chinese surveillance ships on Tuesday positioned themselves between the warship and the Chinese fishing boats, "preventing the arrest of the erring fishermen." This photo shows two Chinese surveillance ships which sailed between a Philippines warship and eight Chinese fishing boats to prevent the arrest of any fishermen in the Scarborough Shoal, a small group of rocky formations whose sovereignty is contested by the Philippines and China, in the South China Sea, about 124 nautical miles off the main island of Luzon on April 10. CDR Salamander has a compare and contrast presentation of media coverage of the Afghan mission at his post "Another Media Smear of the Fallen" with a link to AfghanBlue's "The Red In the Center of The Patch". If you want to know why there are MilBlogs and why they are important, go, read and ponder on the nature of reporting and Information Warfare. Navy unmanned aircraft will be able to distinguish small pirate boats from other vessels when an Office of Naval Research (ONR)-funded sensor starts airborne tests this summer, officials said April 5. 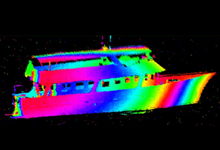 Called the Multi-Mode Sensor Seeker (MMSS), the sensor is a mix of high-definition cameras, mid-wave infrared sensors and laser-radar (LADAR) technology. 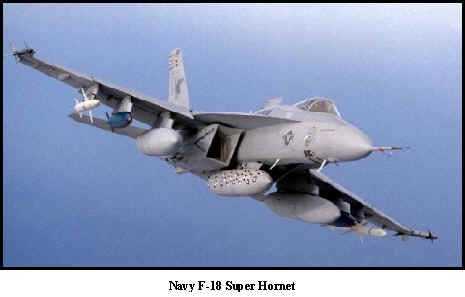 It will be placed on a robotic helicopter called Fire Scout. 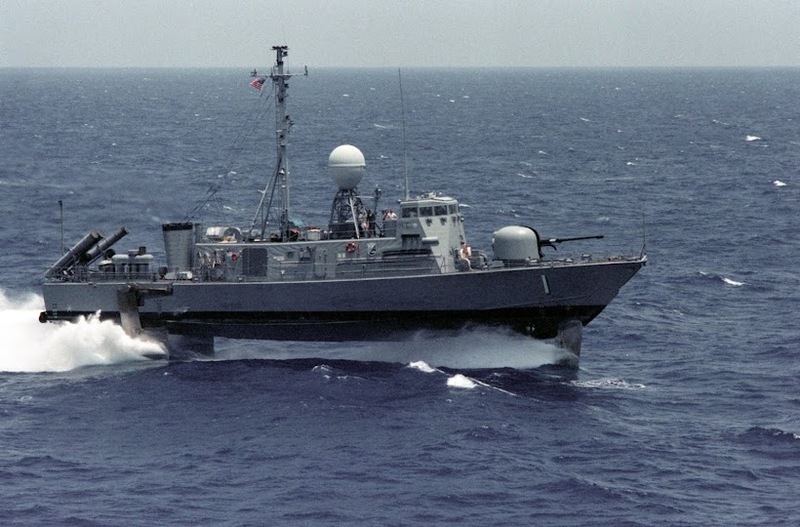 Carrying advanced automatic target recognition software, the sensor prototype will allow Fire Scout to autonomously identify small boats on the water, reducing the workload of Sailors operating it from control stations aboard Navy ships. Navy-developed target recognition algorithms aboard Fire Scout will exploit the 3-D data collected by the LADAR, utilizing a long-range, high-res, eye-safe laser. The software compares the 3-D imagery to vessel templates or schematics stored in the system’s memory. 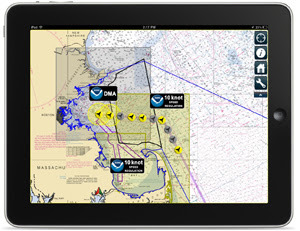 The algorithms have been successfully tested in shore-based systems against vessels at sea. 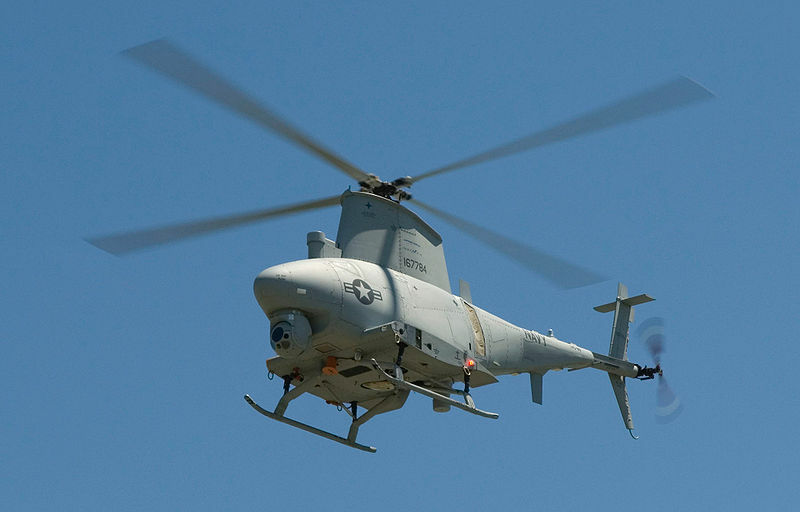 The software is being integrated into a BRITE Star II turret by a team from NAWCWD, Raytheon, FLIR Systems, BAE Systems and Utah State University for airborne testing aboard a manned test helicopter. 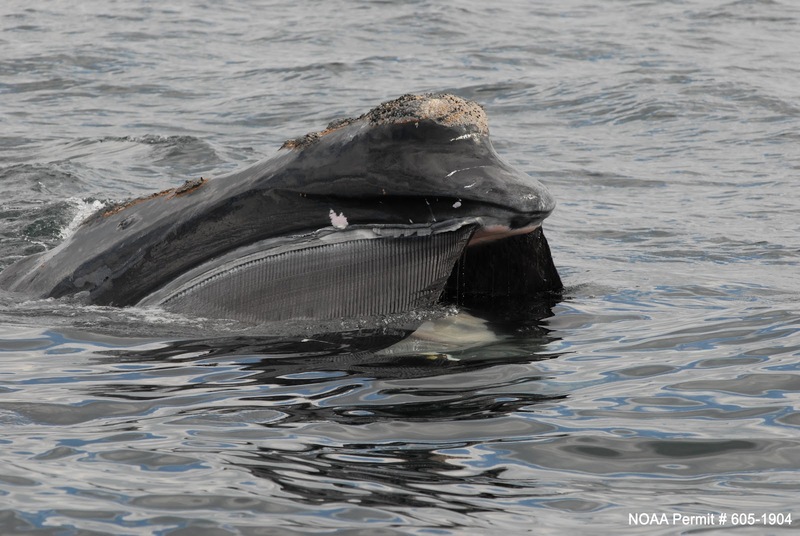 The flight assessment will be conducted against groups of approximately seven small boats in a military sea range off the California coast later this summer. Sounds cool. Hope it works in the real world. See initial report of hijacking here. All 28 Chinese crew members aboard a China-linked cargo ship hijacked by Somali pirates were rescued on Friday, the Chinese embassy in Tehran said. The cargo ship, Xianghuamen, was hijacked by Somali pirates at about 8:40 am local time (0410 GMT) on Friday in the Sea of Oman near Iran's southern port of Chabahar. Nine Somali pirates climbed onto the cargo ship by their own ladders, fired shots on the ship and seized the Chinese crew members on board. 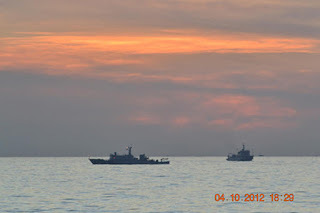 Two Iranian naval warships participating in the rescue operation followed the vessel and ordered the pirates to surrender. The pirates later threw their weapons into the sea and surrendered to the Iranian navy. 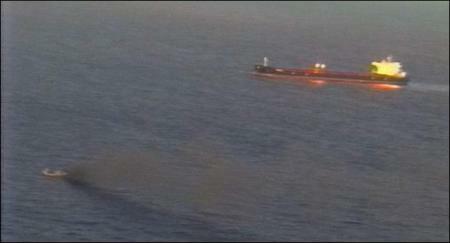 The hijacked cargo ship's engine was damaged and is in repair. Later the ship will head for the Iranian port of Gask, 70 miles (about 112 km) away from where the hijacking occurred and 200 miles (about 322 km) away from the vessel's destination. Kudos to the Iranian Navy. No word on the cargo of the vessel.